A council which wants to spend £33m on development including new offices, retail space and a library near Bath is inviting local people to see its plans. Conservative-run Bath and North East Somerset Council is holding a presentation of initial concept pictures of the redevelopment. 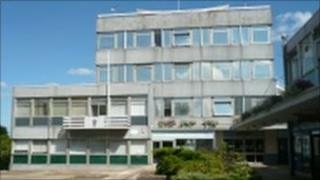 Banes recently agreed it had to save £2.6m from its £351m budget in 2010-11. It also approved plans to spend £200m over five years in projects, including £33m in Keynsham town centre. The presentation is being held on 22 February at the Key Centre in Keynsham. A council spokesman asked that people who want to attend give the authority notice in advance. Correction February 21, 2011: This story has been updated after Bath and North East Somerset Council clarified information it had previously supplied about the nature of the new development.